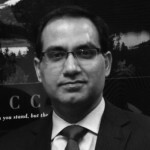 Vedant has over 19 years experience as a visionary and a leader in the staffing industry. He founded APN Consulting and has taken company from a startup organization to a forerunner in the staffing industry, both nationally and internationally. Under his supervision and leadership, APN has emerged as a preferred vendor for many of the largest and most respected companies in the world. He has excelled at client relationship management, business development and recruitment across a variety of industries. Vedant is relentless in his pursuit of perfection and continually motivates his employees to be top performers. 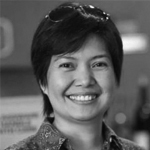 Sarah Bunales is responsible for carrying out the strategic vision for APN Healthcare Solutions and for overall management of the operations. She ensures that the division functions synergistically and that the team upholds APN strict levels of service for both candidates and clients. With over 15 years of sales management experience and 7 years in healthcare staffing, Sarah has a diverse set of skills and proven track record of building and growing a successful healthcare staffing team. Her background spans many years in pharmaceutical sales, business development and management before finding a passion for healthcare staffing. Sarah’s insight, enthusiasm and motivation along with her attention to detail make her uniquely qualified to drive the growth and success of APN Healthcare.